Monsieur LeBalon needs to satisfy his greed for money. 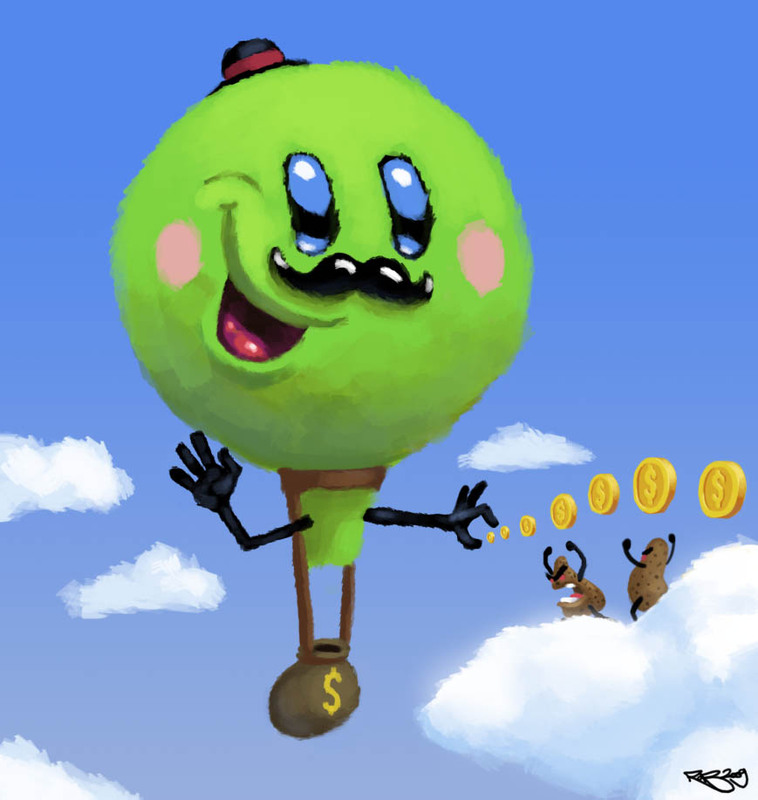 Help him out by navigating the skies and steal gold coins from the peaceful potatoe people living in the clouds. But beware – they are not too happy about your looting and will do everything to pop poor Monsieur LeBalon!